Stress is a risk factor for depression and other mental health disorders. Researchers are currently working to clarify how stress leads to depression, anxiety, and post-traumatic stress disorder, and why trauma early in life has lasting consequences. Two recent studies in mice examined whether just witnessing a stressful event leads to depression-like behaviors. In one, adult female mice watched a male mouse as it was repeatedly attacked by a larger mouse. After ten days of this, the female mice were socially withdrawn, had lost interest in drinking sucrose, and gave up more easily during a physical challenge. They also lost weight and showed higher levels of the stress hormone corticosterone in their blood. The researchers, led by Sergio Iniguez, believe their study clarifies how witnessing traumatic events can lead to stress-induced mood disorders. In the other study, by Carlos Bolanos-Guzman, adolescent male mice witnessed another mouse being attacked. 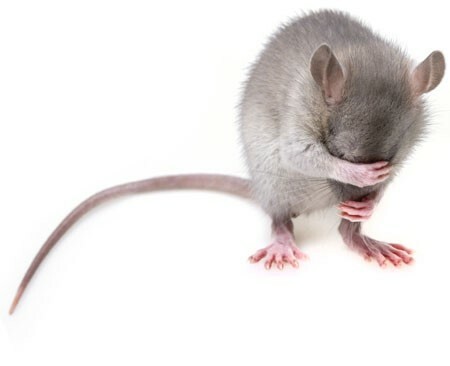 Both the mice that went through the physical stress of being attacked and the mice that went through the emotional stress of watching the attacks occur showed similar depressive behaviors to the mice in the previous study—social withdrawal, loss of interest in sucrose, decreased food intake and exploration of the environment, and decreased motivation in physical challenges. These behaviors persisted into adulthood. Both groups of mice also had increased levels of corticosterone and reduced expression of a particular protein in the ventral tegmental area, a part of the brain linked to stress response. Bolanos-Guzman suggests that both physical and emotional stress have lifelong consequences in mice. The studies were presented at a scientific meeting in December. People with post-traumatic stress disorder (PTSD) often experience fearful memories of the trauma they witnessed. Researchers are working to determine the neurobiological basis for these persistent fear memories in order to better treat PTSD. 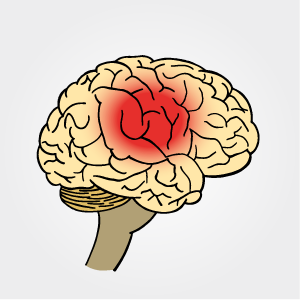 Current treatments mainly target the central nervous system. Because many people with PTSD have elevated levels of pro-inflammatory immune molecules in their blood, there has been a recent push to determine whether targeting that inflammation may be another way of treating PTSD. A recent study by researchers Matthew Young and Leonard Howell used an animal model to learn more about the link between trauma, inflammation, and fear memories. 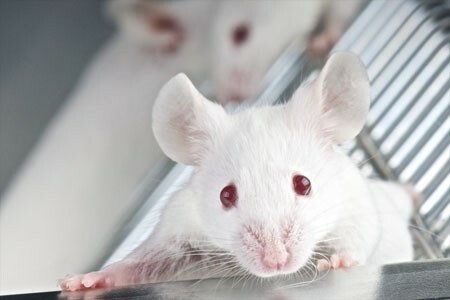 The researchers exposed mice to a trauma that produced both a persistent fear response and an increase in inflammatory molecules in the blood. Some of the mice were also given antibodies to neutralize the inflammatory immune response. When the mice were exposed to a cue meant to remind them of the trauma, levels of the inflammatory molecule IL-6 spiked again. When the mice were given antibodies to neutralize IL-6 just before being exposed to the cue, they produced less of a fear reaction. The researchers, who presented their work at a scientific meeting in December, concluded that traumatic experiences produce not only persistent fearful memories, but also an immune reaction. They believe that the spike in IL-6 following trauma plays a role in the persistence of those memories, and that elevated IL-6 in the blood may explain symptoms of PTSD and other disorders that involve fear learning (such as phobias). A study by researcher Jeffrey Meyer found evidence of microglial activation in several brain regions (including the prefrontal cortex, the anterior cingulate cortex, and the insula) in people in an episode of depression who were not receiving any treatments. Participants with more microglial activation in the anterior cingulate cortex and insula had more severe depression and lower body mass indexes. Meyer, who presented this research at a scientific meeting in December, called it strong evidence for brain inflammation in depressive episodes, and suggested that treatments that target microglial activation would be promising for depression. However, at the same meeting, researcher Erica Richards reported that she had not been able to replicate Meyer’s results. Her research, which included depressed participants both on and off medication and non-depressed participants, found that depressed participants did show more inflammation in the two brain regions she targeted, the anterior cingulate and the subgenual cortices, but this difference did not reach statistical significance, particularly when patients taking antidepressants were included in the calculations. Richards hopes that with a greater sample size, the data may show a significant difference in brain inflammation between depressed and non-depressed participants. Studies have found that inflammatory molecules play a role in depression. A recent study by researcher Yu Sun and colleagues used data from clinical trials of anti-inflammatory drugs to show that these drugs also reduced depressive symptoms. The two drugs, which are administered either by a shot or injection into the skin, each consist of antibodies that target the inflammatory molecule IL-6. Sirukumab is being looked at as a possible treatment for rheumatoid arthritis, while siltuximab is a potential treatment for Castleman’s disease, an illness characterized by enlarged lymph nodes. As part of the clinical trials for these drugs, patients with these illnesses responded to survey questions that assessed symptoms of depression and fatigue. Among patients who reported that they have at least one depressive symptom most of the time and another symptom at least part of the time, the anti-inflammatory drugs significantly improved depressive symptoms compared to placebo. Even when the patients’ inflammatory illnesses did not respond to the anti-inflammatory treatments, their depressive symptoms did improve (symptoms of fatigue did not). An improvement in depressive symptoms was observed after 6 weeks in patients with Castleman’s disease taking siltuximab, and after 12 weeks in patients with rheumatoid arthritis taking sirukumab. In the sirukumab study, the level of the inflammatory molecule IL-6 in participants’ blood before the study was linked to the magnitude of improvement in their depressive symptoms during the study. IL-6 is elevated in many patients with unipolar and bipolar depression. It is possible that antibodies that target IL-6 could be used to treat primary depression (in the absence of other inflammatory disorders). Stress increases the risk of psychiatric illnesses such as major depression and post-traumatic stress disorder. Not everyone who experiences stress goes on to develop these illnesses, though. Researchers are currently trying to find out why, exploring treatments that might increase resilience and prevent mental illnesses. Animal research is often used to study depression. Mice exposed to certain stressors behave in ways that resemble human depression—like giving up faster when they’re forced to tread water, or withdrawing from activities they once enjoyed, like eating sucrose. In a recent study by researcher Christine Denny and colleagues, mice were injected with either saline or ketamine, a rapid-acting antidepressant, and one week later they were exposed to triggers that typically produce a depressive response. Mice who received the saline injection still got depressed when, for example, they were repeatedly forced to confront a dominant mouse. But mice who received ketamine injections did better, maintaining their motivation and not showing signs of depressive behavior following the stress. The researchers concluded that ketamine may have a protective effect against stress. Editor’s Note: These results are remarkable because ketamine’s effects are typically short-lived. It has been known for years that ketamine, an anesthetic at higher doses, can quickly produce anti-depressant effects when delivered intravenously. However, these effects typically last only a few days. New research is exploring how to extend the antidepressant effects of ketamine. Researcher Ella Daly and colleagues recently compared a form of ketamine called esketamine, this time delivered intranasally, to placebo in people with tough-to-treat depression that had resisted other treatments. Daly and colleagues randomized participants to receive one of three different doses of intranasal esketamine (28mg, 56mg, or 84mg) or placebo twice a week. All of the doses of intranasal esketamine improved participants’ depression compared to placebo, with higher doses producing more sustained improvement. After the 2-week double-blind study, participants could choose to continue (or begin) taking esketamine for another nine weeks, tapering dosage slowly from twice a week to once every other week by the end. The participants were then monitored for another eight weeks. The intranasal esketamine doses they received led to sustained improvements in depression that lasted, in some cases, through the eight weeks following their final dose. Side effects were not severe. Ketamine can produce dissociative sensations, but these tended to dissipate with two hours of administration. Johnson and Johnson Pharmaceuticals funded this research, which was presented at a scientific meeting in 2015, and they plan to continue researching intranasal esketamine in the hopes of getting Food and Drug Administration approval for the drug. Brain-derived neurotrophic factor (BDNF) is a protein that protects neurons and aids with learning and memory. BDNF levels are low in people with depression, and every type of antidepressant treatment increases BDNF, including different types of medications, electro-convulsive therapy, repeated transcranial magnetic stimulation (rTMS), exercise, atypical antipsychotic drugs used to treat bipolar depression, omega-3 fatty acids, and ketamine. New research shows that sleep deprivation, which is sometimes used to rapidly improve depression, also increases BDNF. A study by researcher Anne Eckert and colleagues found that partial sleep deprivation (preventing sleep only during the second half of one night) increased BDNF levels in the blood the following day. Those participants who responded well to the sleep deprivation were found to have BDNF levels that fluctuated more throughout the day before the sleep deprivation compared to participants who did not respond well to the sleep deprivation, whose BDNF levels were relatively stable. The research, which was presented at a scientific meeting in 2015, suggests that sleep deprivation in depressed patients increases BDNF, and that such increases are an important function of any antidepressant treatment.